Irgun museum, Deir Yassin descipn.jpg (1024×768). 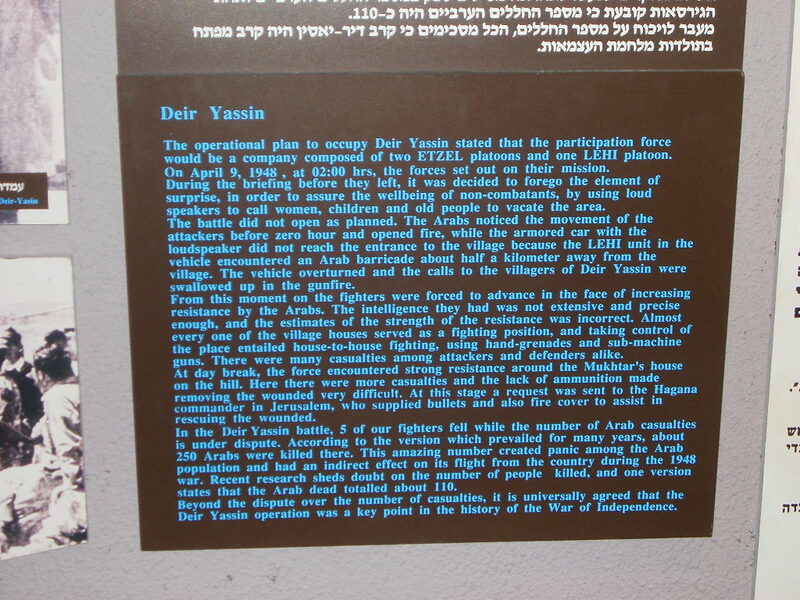 This entry was posted in Deir Yassin, Irgun, Israel, Palestine, Terrorism. Bookmark the permalink.